The Metal X collection could best be described as ‘perfect imperfection’. 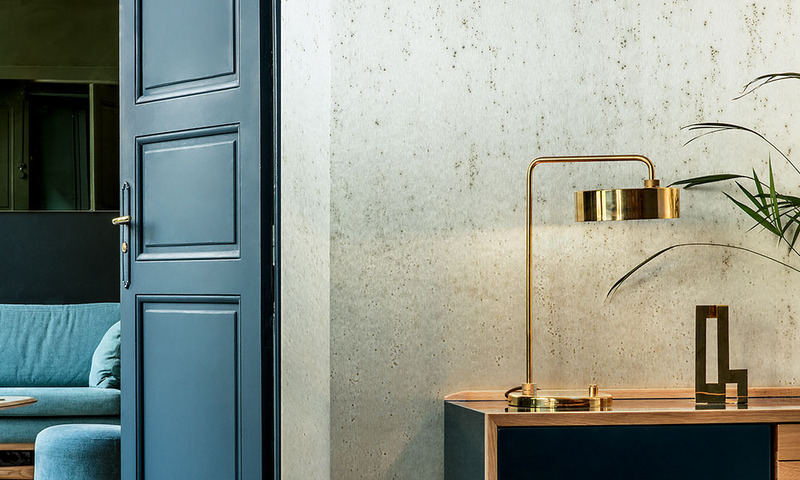 This wallcovering is an ode to oxidised metal, but thanks to its soft sheen creates a luxurious effect. The rich contrast combination of Metal X draws you in. Luxurious materials such as marble, velvet and metallics have been gaining in popularity for some time now. The mutual combination of these materials creates a truly opulent interior. The great thing about metallics is that they have both a luxurious and industrial feel. This is perfectly expressed in the new Metal X collection by Arte. The whole concept focuses on one pattern, Stellar, which is available in 24 colours. These colours are not just restricted to the traditional metallics of gold, chrome and copper. The range also includes fresh colours such as pink, green and blue, so that you can furnish your house with an atypical metallic look. Soft metal lustreWhat is so special about this wallcovering is that the substrate of metal foil creates its own unique reflection of light. This means the pattern looks different when viewed from different angles and creates a dynamic feel in the room. Unexpected beautyThe metal foil undergoes an intensive production process that was developed especially for this collection. The metal foils are coloured in such a way that they take on the natural hues and authentic look of metal.